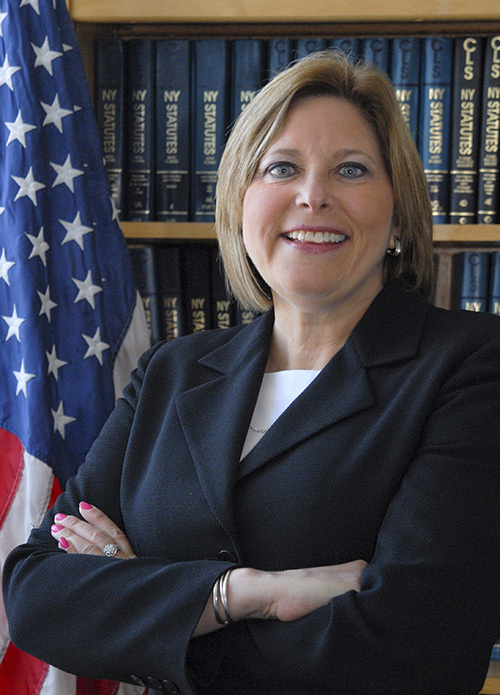 Janet L. H. Smitelli received a dual-major degree from State University at Plattsburgh. During her last semester at college, Janet interned with a Staff Attorney at the Department of Environmental Conservation. It was there that she found her calling, and soon after enrolled in the night division at St. John’s University School of Law while working full time as a paralegal. After graduation, Janet worked as an Associate Trial Attorney, then as a Partner defending various types of personal injury lawsuits. She has substantial trial experience at both jury and non-jury trials, arbitrations and appeals proceedings for both plaintiffs and defendants. Over the past thirty years, Janet has had an impressive trial verdict and motion decision record with further experience in the management, staffing and administration of the various firms she has been associated with. In 2013, Janet was even cited in New York Magazine and New York Law Journal for receiving the 18th highest jury verdict in the State of New York. In her spare time, Janet has given numerous public and teaching presentations in both litigation and non-law settings. She has also continued to volunteer in her community; most notably with the Boy Scouts of America as an Assistant Scout Master. Ms. Smitelli was admitted to the bar in the states of New York and New Jersey in 1987. She was also admitted to the U.S. District Courts in the Southern and Eastern Districts of New York in 1988. St. John’s University School of Law, Jamaica, New York, 1989, J. D.